It’s been a while since I last posted. Summer has been busy but I have found time to get out flying when I can. Like last summer, I got sidetracked with a scratch-build foamy EDF. This time I, went with an established design and put together an FT Viggen. I didn’t bother with documenting the build process at all since there is a great build video on the Flite Test site, and I just followed it along step by step.My only deviation from the FT build was to add a 1×2 mm carbon fiber wing spar. I re-used the fan and all of the electronics from my original (failed) Fan Trainer project, and I must say that I am pretty happy with end results. I really enjoyed the build process. I transferred the downloaded plans onto the Dollar Tree foam boards by taping the plans down to the board, then pushing a pin through the plans at each corner, or intersection point. I then used a pencil and a straight edge to lightly “connect the dots”. 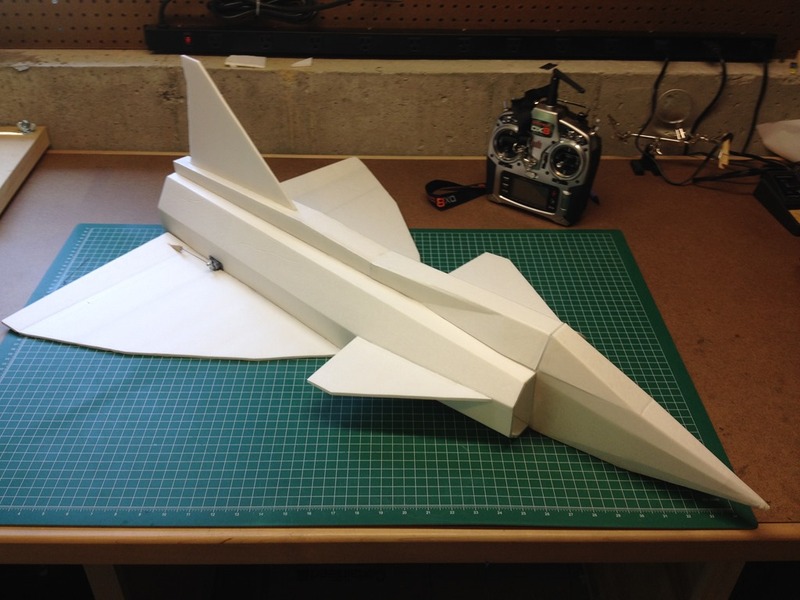 Working with hot glue and foam may not be quite a s rewarding as a full on balsa build, but it fast, cheap, and surprisingly strong. Overall, I can’t argue with the results. I maidened it a few weeks back, and I must say that I was quite impressed with how stable she was. 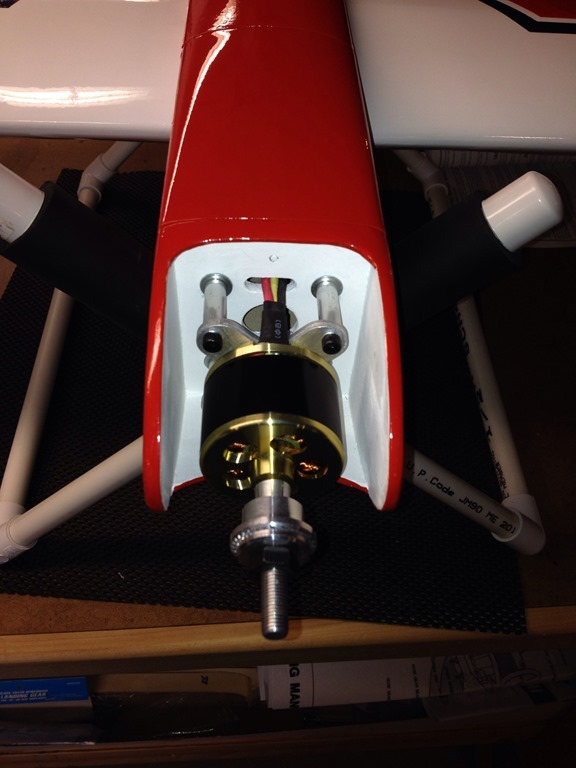 The guys at Flite Test did a great job with the design! Just a gentle underhand toss with the throttle at about 75% and she flew away and got right on step. She is very sensitive to aileron input and I kept looking for rudder while (i.e. ; I’d move the rudder stick, but of course, since there is no moveable rudder so nothing would happen – duh). 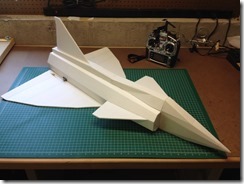 I may try to add a rudder (or just build another with one). I did run into one problem and learned a good lesson about battery charging. In particular, that I learned that I need to be mindful of the power supply power/current capacity when charging. I am using a 4s 3700 mAh batteries (slightly larger than the recommendation of 3300 mAh, but what I had available already). The last time I used these batteries was in my original Hanger 9 Alpha Trainer a few years back. Since then, I bought a new battery charger that allow supports much higher charging rates. While field charging the batteries using my Duracell Powerpack, the charger died about half way through the cycle. At first I was quite certain that my charger had crapped out (I have a Hyperion 1420i charger and they have a reputation for early failure). Fortunately, when I got home, I discovered that the 12V cigarette lighter pulg-to-banana plug adapter that I was using had a blown its 10 amp fuse (I didn’t even know it had a fuse!). Knowing that the charger is not 100% efficient, it is pretty easy to see why the 10 am fuse blew. Overall, a cheap lesson. But, given the reputation of the Hyperion 1420i (now discontinued), I may want to think about picking up a new charger before next year’s flying season. 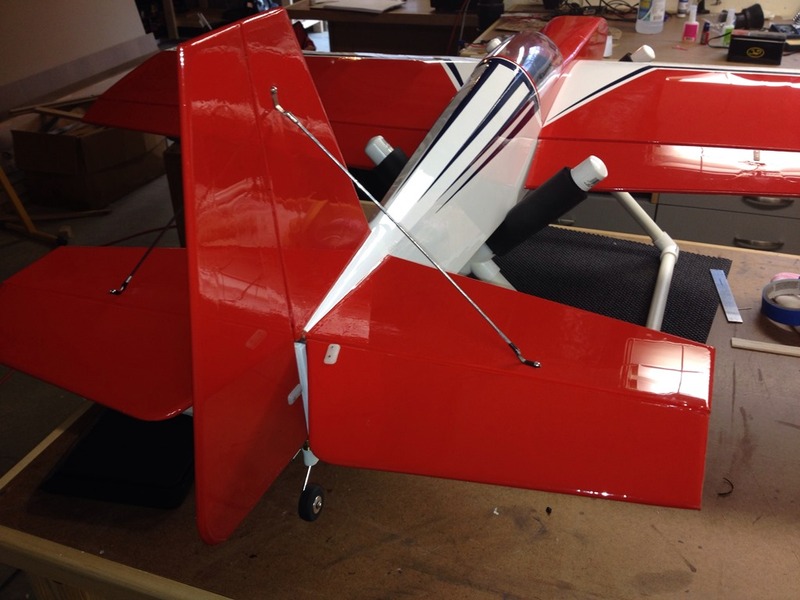 A site dedicated to RC aircraft modeling. Matt Kirk on Lots of Flying Last Week!